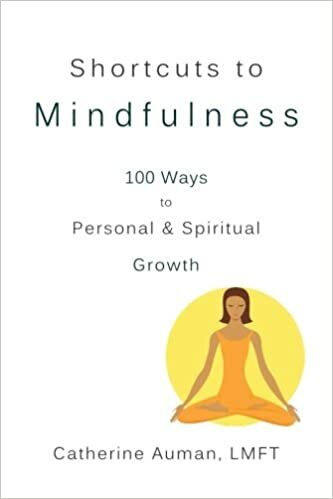 Book Review “Shortcuts to Mindfulness: 100 Ways to Personal and Spiritual Growth” by Catherine Auman LMFT. From my own experience with therapy there are no easy fixes when it comes to self-development. It takes patience, work and a desire to practice what we learn. I felt like her 100 shortcuts are very powerful for long-term change. I say this with the wisdom of experience as much of her advice are things I learned when I first decided to commit to change and a few I’m still in the process of learning. Some of my favorite shortcuts were knowing its okay to not be happy all the time, that meditation is a great tool to take control of our thoughts and that listening to music with positive messages can boost your physical and emotional strength. While most self-help authors stick to one particular point in our quest for self-love, Catherine highlights simple actions and ideas we can use to create change in ALL aspects of our lives when we choose, without weighing ourselves down by taking on too much work. I recommend this book for those who are just starting on the path of individual empowerment as well as those who are looking for more guidance. I contacted Catherine and asked her to share her favorite mindfulness practice. Below is her response. “My favorite mindfulness practice is when I can remember, to remind myself to BE in the present moment. Not the past, not the imaginary future. If the past or the future want attention, I will give it to them, then gently return, as I can, to the perfect now. This is also one of my shortcuts, because if we could be in the moment, now, there would be no need for any other practice. Ready to HEAL? Read my D.I.Y. Therapy posts.